Welcome to Babette's Kitchen, located in the heart of Millbrook. 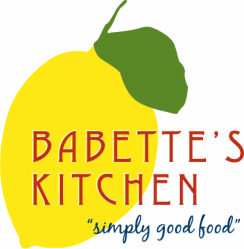 Babette's Kitchen is a Gourmet Market, Coffee Shop, Bakery and Catering Company. Our cozy café offers breakfast, lunch and dinners to go. This year marks Babette's 12th anniversary! We want to thank Millbrook and the surrounding communities that have helped make us a success. We greatly appreciate your business and support! Babette's Kitchen is dedicated to using local seasonal ingredients. Over the years we have built relationships with local farmers who supply us with the best produce the Hudson Valley has to offer. Our convenient dinners to go are always changing with the season. Pair seasonal salads, pastas and other side dishes with entrees like grilled salmon, spaghetti squash bake, roasted sirloin of beef, and turkey meatloaf. We also offer a variety of foods to accommodate special dietary needs such as wheat free, low carb, low sugar, and vegan options. Breakfast items, baked fresh daily include muffins, scones, croissants, sticky buns and buttermilk biscuits. 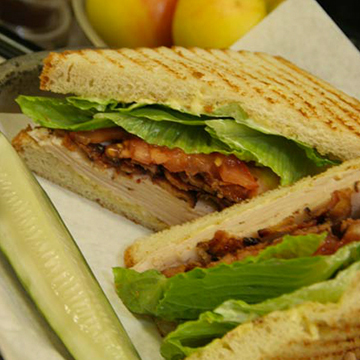 Lunches consist of soups, sandwiches, salads, specialty sandwiches and quesadillas all made in house. Fresh fruit pies, cakes and puddings make dessert easy and special. We are also a full service bakery, providing custom cakes and cookies for any holiday and occasion. Babette's takes pride in our great customer service and delicious food prepared from scratch. ​Flower Magazine article featuring Babette's Kitchen Chicken Pot Pies! ​What to do in Millbrook, NY - Hudson Valley Magazine.